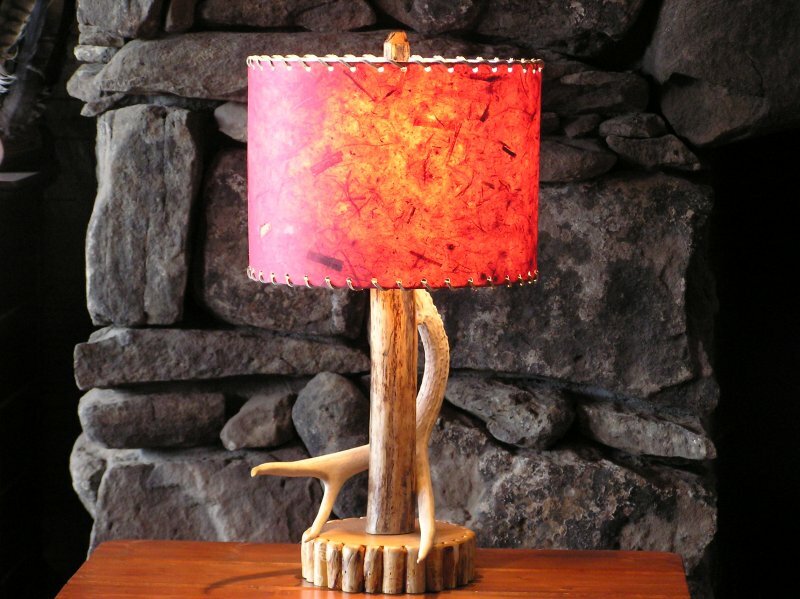 Our rustic Wood & Antler Lamps are of a classic nature. 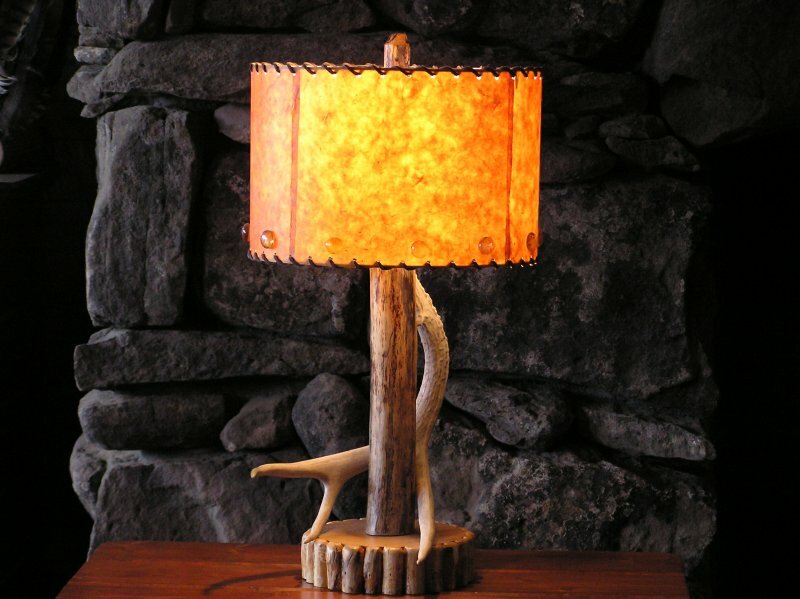 The base is a molesworth style, the antler is a natural shed and the western look is acheived with a drum shade. This cabin table lamp is made from lodge pole pine and is finely sanded and finished. 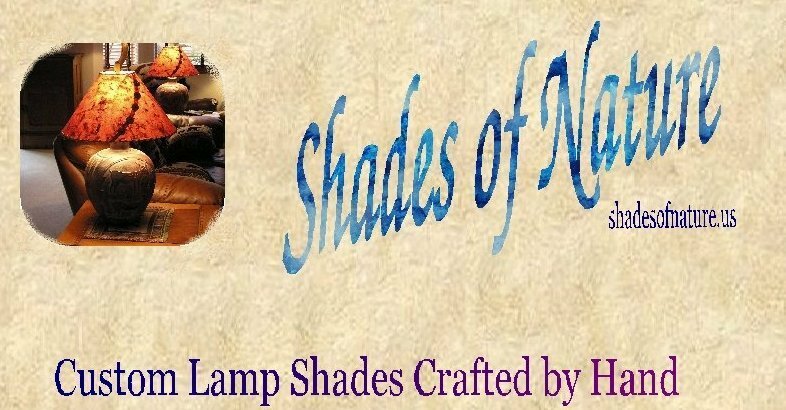 All lamps come with a 3way switch. 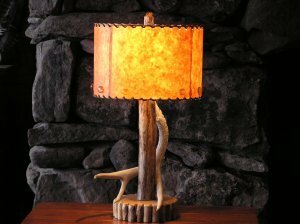 Choose one of our rustic lampshades to go with your new lamp and don't forget the pinecone or burl wood finial to give it that final detail.